Investigating new ways to advance medicine and improve patient care is an integral part of Dr. Spinner's practice and approach to medicine. Below is a sampling of ongoing Institutional Review Board (IRB) approved studies. 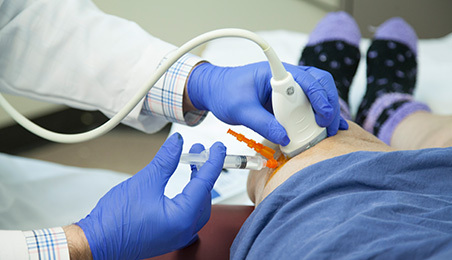 "Defining the accuracy of ultrasound guided knee injections confirmed by fluoroscopy." 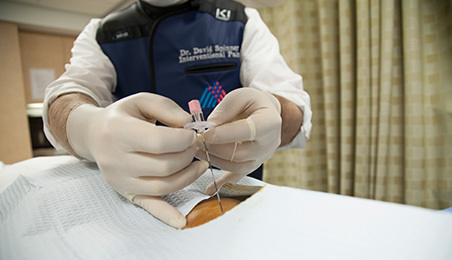 "Evaluating the safety of needle positions using during fluoroscopic views in cervical epidural steroid injections." 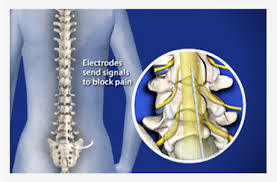 "Evaluating the effects of spinal cord stimulation for paraplegic pain." Dr. Spinner's book "An Atlas of Ultrasound Guided Musculoskeletal Injections" can be found here on Amazon. A selection of Dr. Spinner's work. A list of the societies Dr. Spinner is involved with. Scroll through to see more.